Biomimicry provides the perfect opportunity to fuse Jamie’s seemingly divergent interest in the fields of biology and architectural design. 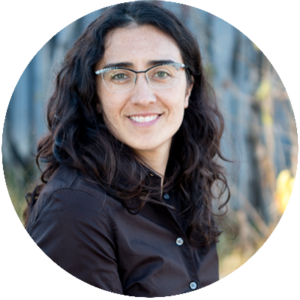 Her work for Biomimicry 3.8 is often focused on integrating biomimicry in the built environment, from uncovering local biological champions as inspiration for place-based design to working towards creating factories that provide ecosystem services like a forest. Jamie has also led innovative research efforts in product design and social innovation. Working with companies such as HOK, BNIM, Interface, and Kimberly-Clark, Jamie has managed projects, led research and inspired many designers. Jamie has led dozens of budding biomimics through the biomimicry design process as well as through ecosystems around the world during past biomimicry workshops.